A UTA environmental engineer is devising a system that will allow easier cleanup of contaminated soil and water that the U.S. military has identified. The United States military uses perfluoroalkyl and polyfluoroalkyl substances, or PFASs, in watery film-forming foams that are used to fight hydrocarbon-based fires. Many of these chemicals have contaminated soil and groundwater near the areas where the foams are made and used. The Department of Defense is working to determine the extent of the contamination. As scientists complete their work, investigation-derived contaminated soil and water with PFASs is created and needs to be cleaned up. Hyeok Choi, an associate professor of civil engineering at The University of Texas at Arlington, will use a $199,985 grant from the U.S. Department of Defense's Strategic Environmental Research and Development Program to prove a concept that would allow cleanup of PFAS-contaminated soil and water on site under ambient conditions. 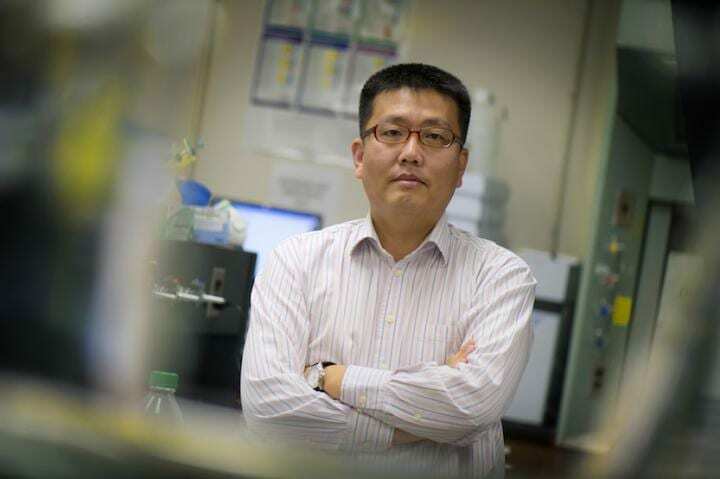 Junha Jeon, associate professor of chemistry, is co-principal investigator on the project. PFASs are widely used in applications such as non-stick cookware, stain repellants for carpets and furniture, and fire retardants. Cleanup of these chemicals when they reach the environment is difficult because they do not break down easily under normal conditions and are resistant to chemical reaction. "Investigation-derived waste contains PFASs, water, soil and many other things that affect how it can be cleaned. This project is very challenging because the Department of Defense doesn't want the expense of moving the waste, so any cleanup must be done without extreme conditions, such as high temperature and high pressure," Choi said. "The technology I use will combine oxidation and reduction. It is difficult to decompose PFASs via oxidation pathways due to the extraordinarily strong carbon-fluorine bonds in PFASs, so I will use reduction technology first to replace fluorine with hydrogen. Then, the defluorinated PFASs are much more vulnerable to chemical oxidation and decomposition." In addition to chemical decomposition, Choi also will use activated carbon-based nanomaterials which can first absorb PFASs and then decompose them through oxidation and reduction. The first step in the project is to see if Choi's methods will work in clean water. If they do, he will add soil and many other co-existing chemicals and components to the water to see if the methods are still effective in practical applications for treating the waste. If this research is successful, Choi hopes to receive further funding to conduct a full-scale project focusing on explaining detailed reaction mechanisms and pathways. Choi earned a grant in 2017 to prove a concept that would allow scientists to efficiently transform PFASs such as perfluorooctane sulfonate into chemicals that could be broken down easily and with as little expense as possible. That research led to the defluorination technology that he will apply to the research. Choi joined UTA in 2009 after two years as a postdoctoral fellow at the EPA. His research has focused on monitoring and removing toxic chemicals in water, including work on the decomposition of halogenated chemicals, and has been funded by the National Science Foundation, National Institutes of Health, Department of Defense, U.S. Geological Survey, Water Research Foundation, and Texas Higher Educational Coordinating Board. His work is an example of UTA's work to advance Global Environmental Impact under the University's Strategic Plan 2020: Bold Solutions | Global Impact, said Ali Abolmaali, chair of the Civil Engineering Department. "Cleanup of soil and groundwater that are contaminated with PFASs is a difficult, expensive process. Dr. Choi's research in this field gives him a unique perspective that he can apply to the problem and use to create a solution that will benefit the environment while saving taxpayers money. His leadership in this area is a fine example of how our faculty are contributing to a better world," Abolmaali said.